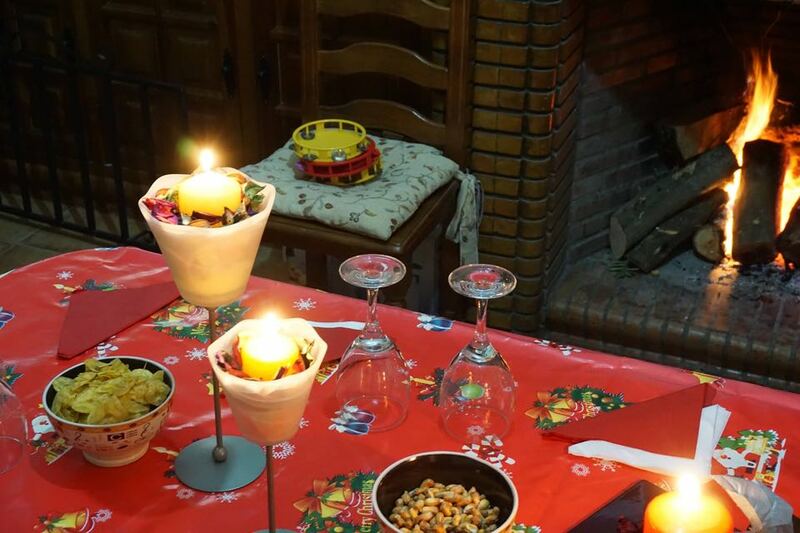 Christmas in Spain, by a Spaniard! 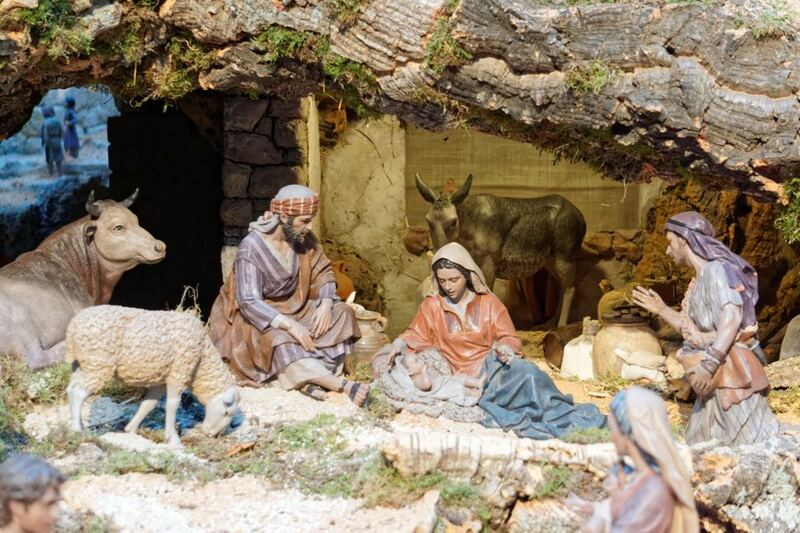 As a Spaniard myself I feel most foreign websites talking about Christmas in Spain have it wrong, with outdated pictures if any and traditions pretending to be spread that are in fact very specific to certain areas. So, let’s fix it! 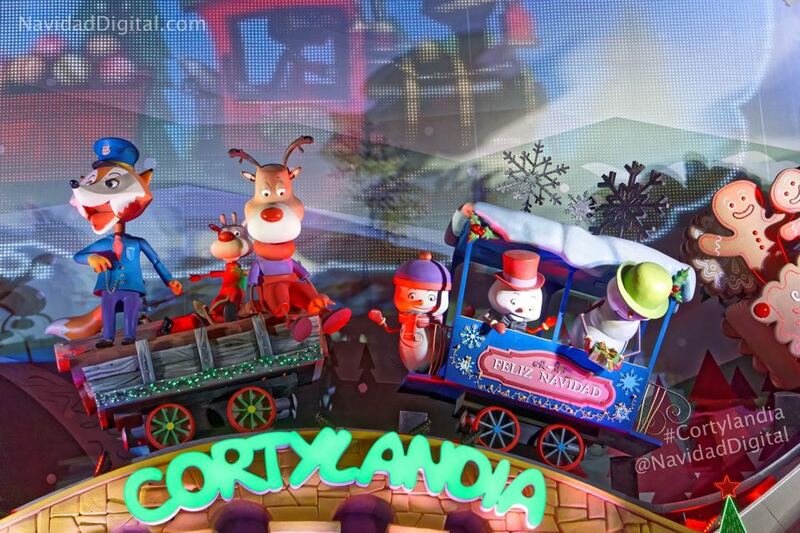 The most-famous Christmas animatronics show in Spain has already started, Cortylandia! The theme this year is an enchanted forest where the polar wind brings snowmen to life. 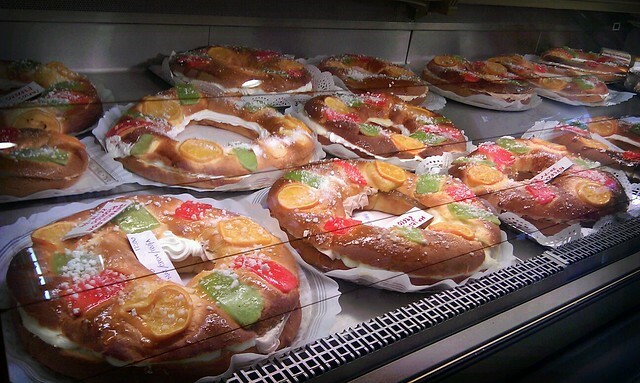 Although the Christmas atmosphere in Spanish cities usually begins by the end of November, with Christmas sweets and some ornaments available as soon as early October, most activities take part by the middle/end of December. There’s a real craze for that, retailers start selling Christmas lottery in August and by December they sell it everywhere (even at restaurants or shops where they don’t usually sell lottery). Coworkers and families share tickets, people look for their lucky number and some even spend hours in queues during summer at famous lottery retailers. 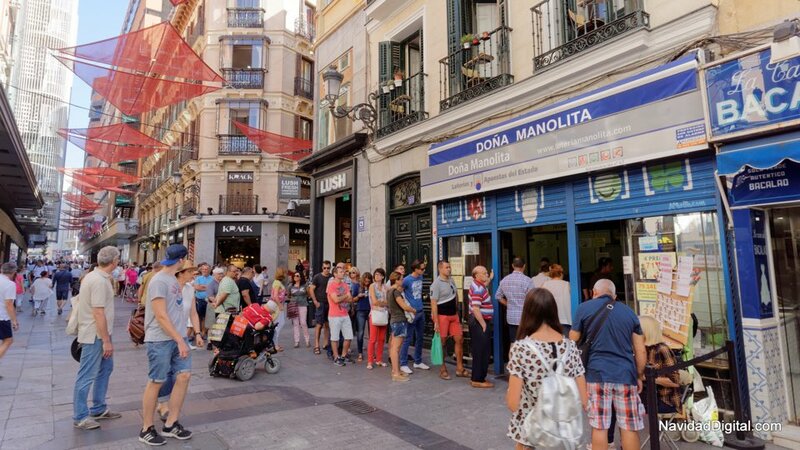 Just watch the following picture, taken during August 2016 in Madrid’s most famous Christmas lottery retailer. TIP: Don’t waste time in queues, the chances of winning something are the same as buying the ticket in any other empty retailer. The lottery draw -December 22nd- is broadcasted on national radio and TV (La 1) as well as streamed in the RTVE website. Since there are many prizes, first 5 numbers are extracted and then the type of prize, raising the expectation for the “the big prize” (el premio gordo) to be announced. When there was no Internet, people would buy the newspaper early next day to check their number in a huge list, now you usually know your prize, if any, within minutes. 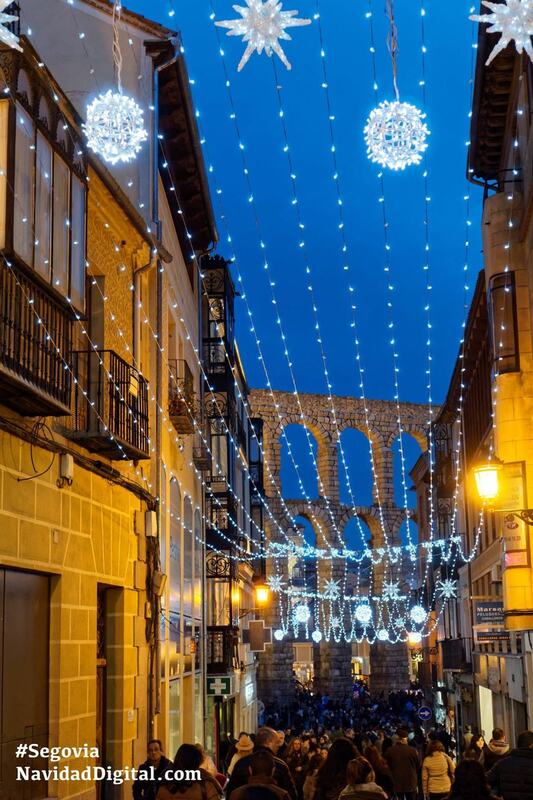 Spanish towns and cities exhibit seasonal lights in the main streets as well as Christmas trees. 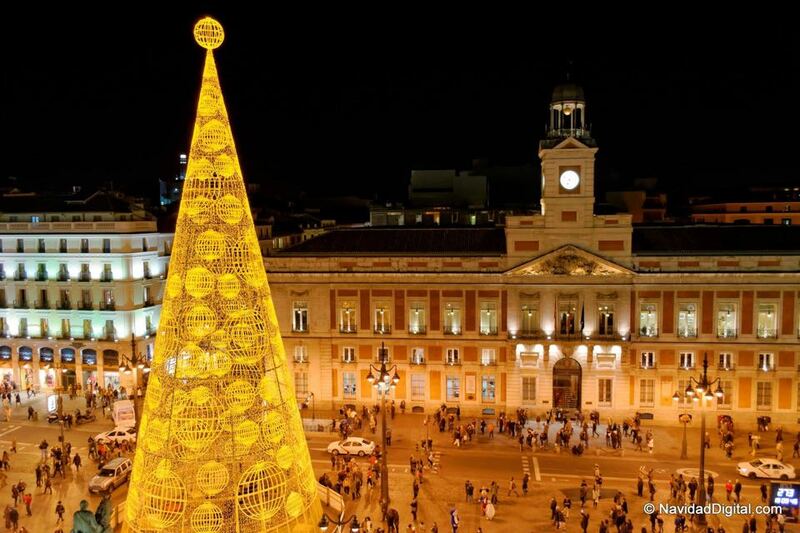 Note that we no longer use actual Christmas trees in the streets but some kind of lighted cones or synthetic trees, sometimes even branded as happens in Madrid. 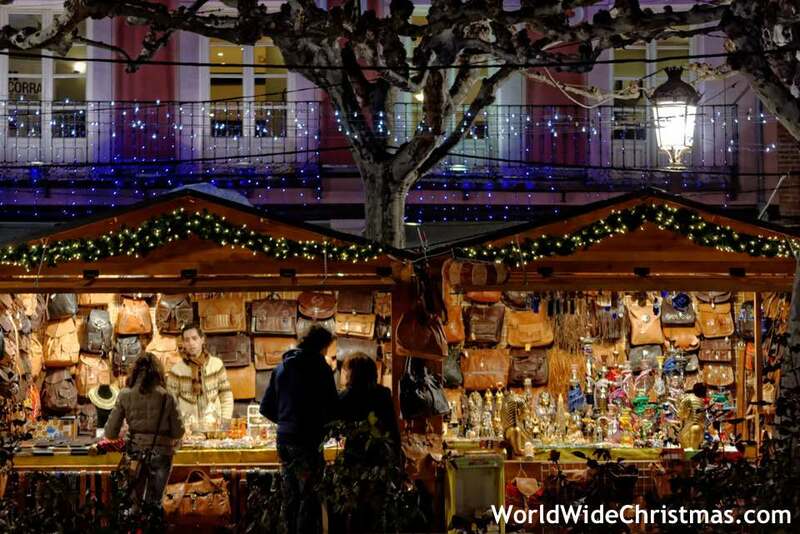 While Austrian, Belgian or German markets are probably the reference in Europe, Spanish Christmas markets feature works from local artisans and both Christmas sweets and Nativity sets are quite outstanding. Storefronts are full of Christmas decorations inviting to go inside and buy some Christmas gifts while street markets are easy to spot during the middle of December. 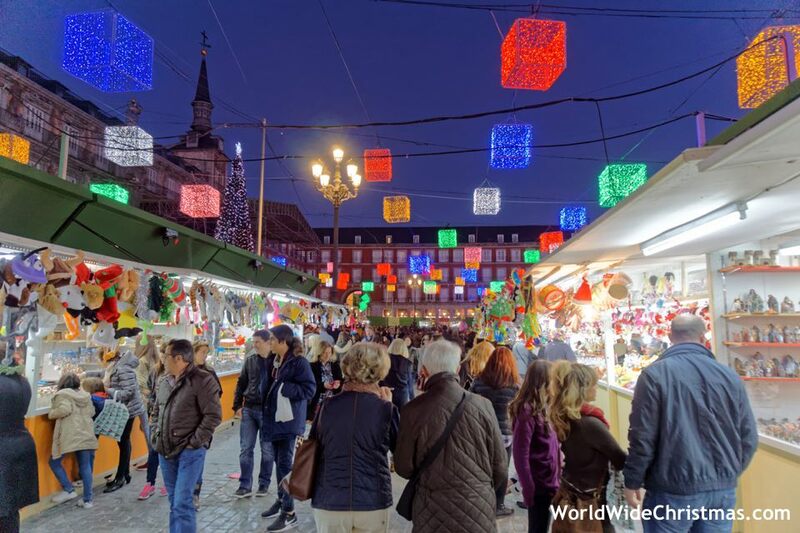 The Christmas market at Plaza Mayor in Madrid is probably the most known in the country and it’s an ideal place to buy ornaments, nativity sets and any kind of funny Christmas stuff. In Spain there’s a large tradition of nativity scenes or cribs that represent the scene of the birth of Jesus, and it’s the main Christmas ornament along with the world-known Christmas tree. Spain is the first European producer of almond (according to Wikipedia), so it’s no surprise that most of the seasonal sweets are made of almond and sugar, as happens in other Mediterranean countries such as Italy. The keywords are turrón, polvorón, mantecado, mazapán, and roscón. 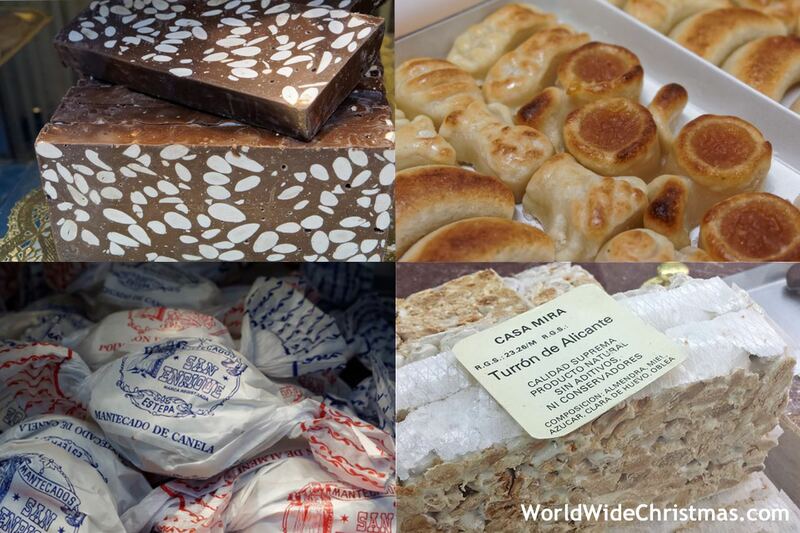 There are way more, and turrón even comes in every flavor you can imagine, but you can’t leave Spain without tasting at least a piece of classic, white, almond turrón and a marzipan figure. Turrón is a thick bar made of almond, sugar and other ingredients depending on the flavor. The white or hard one (turrón de Alicante) has whole almonds while the soft one (turrón de Jijona) is brown-ish, has ground almonds and it’s greasy to the touch. Then there’s the yolk flavored (one of my favorites), many kinds of chocolate, fruits, coconut and so on. Polvorones and mantecados are a kind of heavy and soft shortbreads made of flour, sugar, lard (pig fat) and almonds. They’re quite similar, but the shape, finishing and flavors help to distinguish them. Mazapanes, or marzipans, are usually found as small figures and they are made of just sugar and almond, around 50% each. Some might be filled with yolk, although the classic is solid. There are no fancy flavors there, if it’s not sugar and almond it’s just not mazapán at all, so the quality of the almond used is key. December 24th, Christmas Eve. A night to have a very special dinner with the whole family, play Spanish Christmas songs (also known as villancicos), watch the Christmas Message by the King of Spain (Felipe VI) and enjoy drinks and typical Christmas sweets such as turrón, polvorones, mantecados and marzipan. I’d say it’s a more homemade celebration than other dates such as New Year. December 25th, Christmas Day. The celebration continues (with little or no sleep at all, haha), this time during lunch preparing traditional dishes such as lamb. Depending on the traditions of the house, Papá Noel (i.e. Santa Claus) might have left the gifts, if not the gift delivery is usually done by the Three Kings (Reyes Magos) during the night of January 6th. When I was a child I preferred Santa Claus as I would have more time to enjoy the toys before starting school again in January. December 31st, New Year’s Eve. 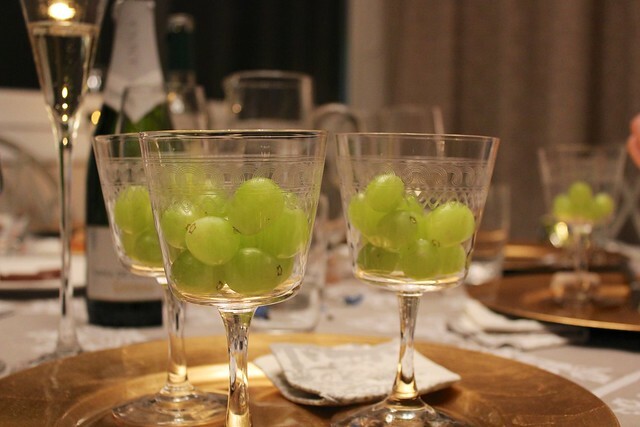 Following another special dinner, again with family, it’s time to welcome the new year eating 12 grapes, opening a bottle of champagne or cava and toasting a happy new year. Wait, 12 grapes?! Right! A tradition started in 1895 where we eat one grape per bell strike at midnight in the main clock tower of the town. 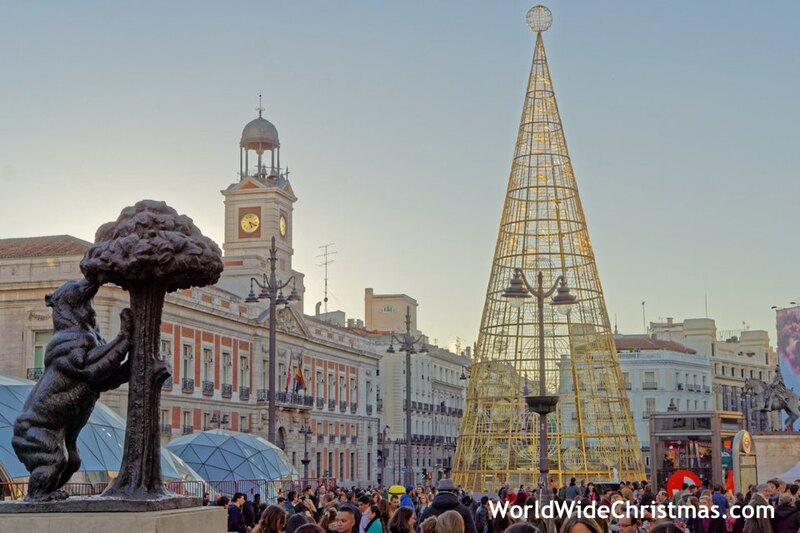 The most known is the one at Puerta del Sol in Madrid, which is broadcasted by virtually all TV channels and is the standard way to eat the grapes with. After the so called campanadas and consequent toast, it’s time to have fun joining one of the many New Year’s parties or even hiring a place with some music to spend the first night of the year with friends. Or just continue the party at home! January 1st, New Year. I think watching the live Vienna Philharmonic New Year’s Concert is a must this day, though probably many will be still sleeping after the long night. Follows the New Year’s lunch, once again another opportunity to share the table with the family. January 6th, Epiphany / Three Kings’ Day. It’s typical to have chocolate and Roscón de Reyes for breakfast. If the Three Kings stopped by, it’s time to open the gifts and have the last Christmas-related lunch of the season. Rumor has it the Three Kings bring charcoal to the badly behaved and, actually, bakeries sell a kind of sweet charcoal, which I never tried (fortunately!! hahaha). Next day is back to normal so, yes, Spanish Christmas holidays are a bit longer than in other places thanks to this feast. Since 1979, El Corte Inglés building at Preciados in Madrid displays an animatronic show during December known as Cortylandia. Unique in Spain, it changes theme each year and certainly is kids’ favorite. The same store group also organizes more activities and shows in other buildings of Madrid and, to a lesser extent, in other Spanish cities (they might reuse the elements that were shown in Madrid during previous years). Past year’s theme was the Christmas train, as pictured above, while for 2016-2017 the main theme is a Christmas sewing workshop (to commemorate El Corte Inglés 75 anniversary) where cute little mice make some Christmas socks. Check out the video below! The lyrics are in Spanish of course, but at 0:15 you can hear the aforementioned chorus. That’s it! Hope you’ve liked this special of Christmas in Spain, you can find me in facebook for any question regarding your trip, especially if you’re coming to Madrid! 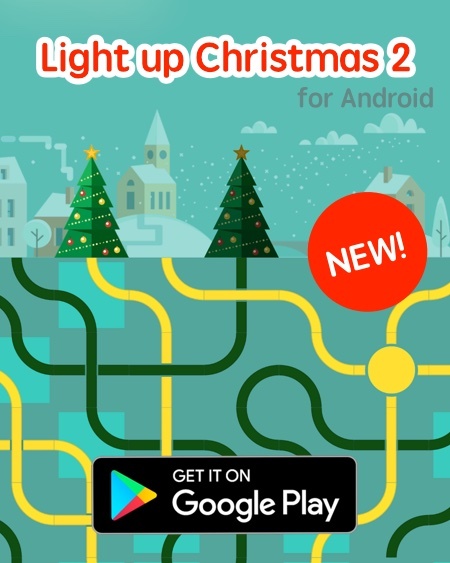 If you happen to play games in your iPhone/iPad or Android device, please try out my games at the App Store or at the Play Store, there are incoming Christmas games also! And, by the way, if you speak Spanish, stop by my Spanish Christmas website Navidad Digital! 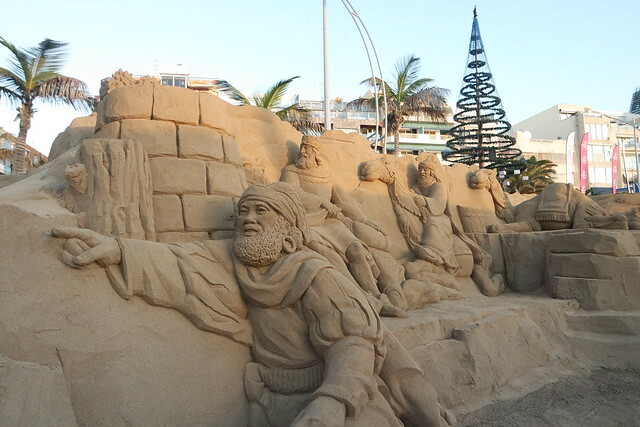 There’s just a lot more information about Christmas in Spain. Oct8October 8, 2016 • By wwc • This entry was posted in Places. Bookmark the permalink.